It does not take much to make a difference. This is what Bantay Bata 163 has seen through the years. Donations big or small indeed go a long way in helping improve the lives of the less fortunate children. -Transfer funds from your bank account online at www.globe.com.ph/gcash, via BancNet ATMs or through any of over 7,000 GCASH Outlets nationwide. 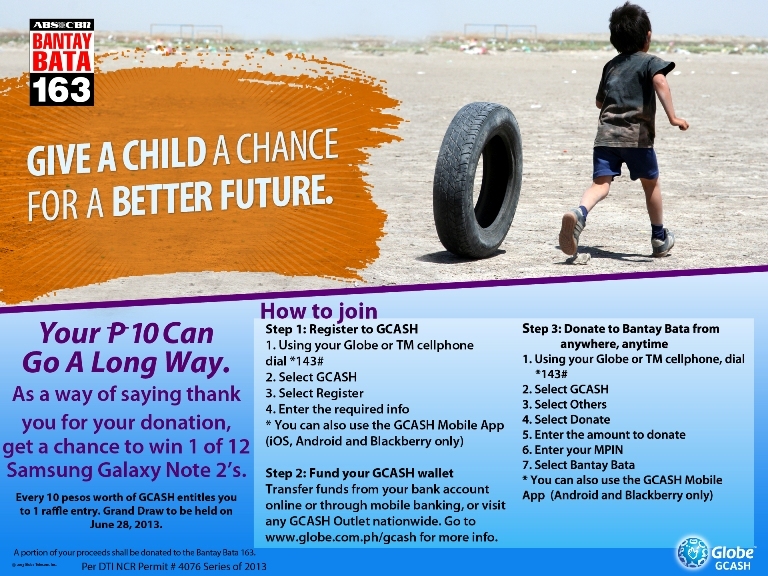 For all Globe andTM subscribers who will donate via GCASH, 12 Samsung Galaxy Note 2’s will be given away under DTI NCR Permit No. 4076 Series of 2013.Every donation of at least 10 pesos via GCASH until June 26. 2013 earns one (1) electronic entry for the special raffle draw on June 28. Winners will be notified via call, SMS and registered mail. 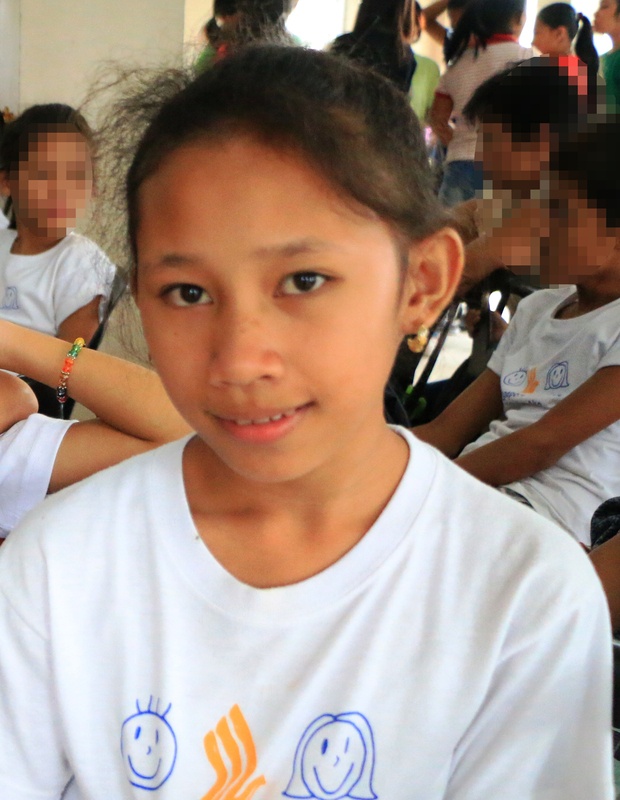 This raffle is a way of saying thank you for sharing your blessings to the children under the care of Bantay Bata 163.